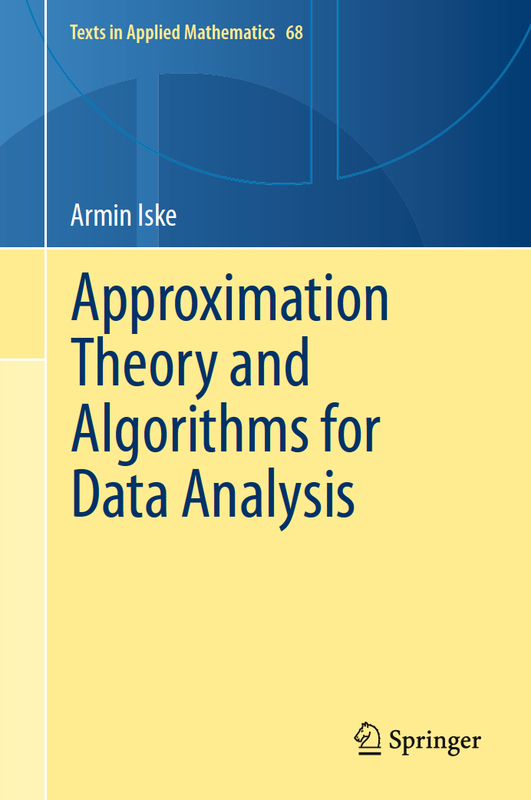 Armin Iske: Approximation Theory and Algorithms for Data Analysis. Texts in Applied Mathematics, vol. 68, Springer, 2018. Armin Iske: Approximation. Springer-Lehrbuch Masterclass, Springer Spektrum, 2018. Carsten Eden and Armin Iske (eds. ): Energy Transfers in Atmosphere and Ocean. Springer, 2019. Improved Estimates for Condition Numbers of Radial Basis Function Interpolation Matrices. Journal of Approximation Theory 238, 2019, 38-51. Error Estimates and Convergence Rates for Filtered Back Projection. Mathematics of Computation 88, 2019, 801-835. From Image to Video Approximation by Adaptive Splines over Tetrahedralizations. Sampling Theory in Signal and Image Processing 17, 2018, 43-55. Image Reconstruction from Scattered Radon Data by Weighted Positive Definite Kernel Functions. Hierarchical Matrix Approximation for Kernel-based Scattered Data Interpolation. SIAM Journal on Scientific Computing 39(5), 2017, A2287-A2316. On the Construction of Non-Negative Dimensionality Reduction Methods. Sampling Theory in Signal and Image Processing 16, 2017, 23-36. Approximate Solutions of Generalized Riemann Problems for Nonlinear Systems of Hyperbolic Conservation Laws. Mathematics of Computation 85, 2016, 35-62. Geometric data manipulation with Clifford algebras and Möbius transforms. Advances in Applied Clifford Algebras 26(3), September 2016, 1033-1044. Optimal N-term Approximation by Linear Splines over Anisotropic Delaunay Triangulations. Mathematics of Computation 84, 2015, 1241-1264. Reducing Spurious Diapycnal Mixing in Ocean Models. 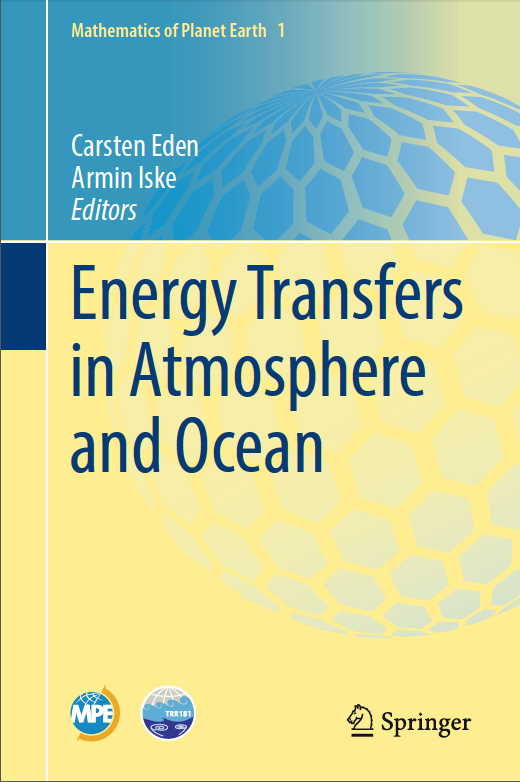 In: Energy Transfers in Atmosphere and Ocean, C. Eden and A. Iske (eds. ), Springer, 2019, 245-286. Convergence Rates for Hölder Windows in Filtered Back Projection. Accepted for publication in the IEEE International Conference Sampling Theory and Applications (SampTA2019). Approximation of Bivariate Functions from Fractional Sobolev Spaces by Filtered Back Projection. Armin Iske: Approximation. Springer-Lehrbuch Masterclass, SpringerSpektrum, 2018. 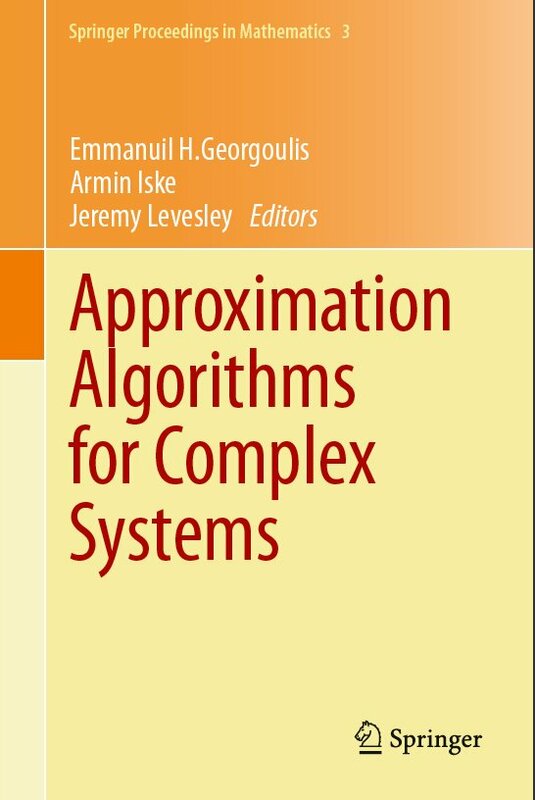 Approximation Algorithms for Complex Systems. Springer Proceedings in Mathematics, Vol. 3, Springer-Verlag, Berlin, 2011. 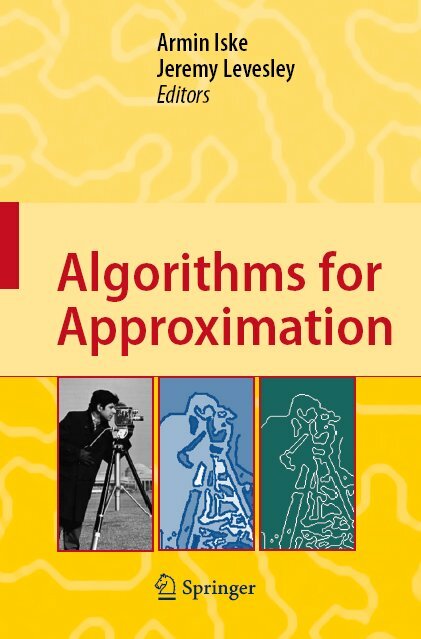 Algorithms for Approximation, Springer-Verlag, Berlin, 2007. Mathematics in Industry, Vol. 7, Springer-Verlag, Heidelberg, 2005. ISBN 3-540-20479-2, Springer-Verlag, Heidelberg, 2004. Interactions between Kernels, Frames, and Persistent Homology. In: Recent Applications of Harmonic Analysis to Function Spaces, Differential Equations, and Data Science. Volume 2: Novel Methods in Harmonic Analysis, I. Pesenson, Q.T. Le Gia, A. Mayeli, H. Mhaskar, and D.-X. Zhou (eds. ), Birkhäuser, 2017, 861-888. Sobolev error estimates for filtered back projection reconstructions. IEEE International Conference Sampling Theory and Applications (SampTA2017), 2017, 251-255, DOI: 10.1109/SAMPTA.2017.8024439. IEEE International Conference Sampling Theory and Applications (SampTA2017), 2017, 360-363, DOI: 10.1109/SAMPTA.2017.8024446. Sparse approximation of videos by adaptive linear splines over anisotropic tetrahedralizations. IEEE International Conference Sampling Theory and Applications (SampTA2017), 2017, 514-517, DOI: 10.1109/SAMPTA.2017.8024442. A meshfree semi-implicit smoothed particle hydrodynamics method for free surface flow. In: Meshfree Methods for Partial Differential Equations VIII, M. Griebel and M.A. Schweitzer (eds. ), Springer LNCSE, vol. 115, 2017, 35-52. Tangential homology for defect detection in the time of flight diffraction method (TOFD). Proc. Appl. Math. Mech. (PAMM) 16(1), 2016, 619-620. On the error behaviour of the filtered back projection. Proc. Appl. Math. Mech. (PAMM) 16(1), 2016, 833-834. Kernel-based image reconstruction from scattered Radon data. Dolomites Research Notes on Approximation 9, 2016, 19-31. A wetting and drying semi-implicit SPH algorithm for the shallow water equations. Proceedings of the 11th International SPHERIC Workshop, Munich, Germany, 13-16 June 2016. Persistent Homology for Defect Detection in Non-Destructive Evaluation of Materials. e-Journal of Nondestructive Testing (NDT.net) 21(1), January 2016, ISSN 1435-4934. Non-Negative Dimensionality Reduction for Audio Signal Separation by NNMF and ICA. IEEE International Conference Sampling Theory and Applications (SampTA2015), 2015, 377-381, DOI: 10.1109/SAMPTA.2015.7148916. Optimally Sparse Image Approximation by Adaptive Linear Splines over Anisotropic Triangulations. IEEE International Conference Sampling Theory and Applications (SampTA2015), 2015, 463-467, DOI: 10.1109/SAMPTA.2015.7148934. Parameter Estimation for Bivariate Exponential Sums. IEEE International Conference Sampling Theory and Applications (SampTA2015), 2015, 493-497, DOI: 10.1109/SAMPTA.2015.7148940. Error Estimates for Filtered Back Projection. IEEE International Conference Sampling Theory and Applications (SampTA2015), 2015, 553-557. DOI: 10.1109/SAMPTA.2015.7148952. A semi-implicit SPH scheme for the two-dimensional shallow water equations. Proceedings of the 10th International SPHERIC Workshop, Parma, Italy, 16-18 June 2015. Adaptive Approximation Algorithms for Sparse Data Representation. In: Extraction of Quantifiable Information from Complex Systems, S. Dahlke, W. Dahmen, M. Griebel, W. Hackbusch, K. Ritter, R. Schneider, C. Schwab, and H. Yserentant (eds. ), Lecture Notes in Computational Science and Engineering, vol. 102, Springer-Verlag, Berlin, 2014, 281-302. A semi-implicit SPH scheme for the shallow water equations. Proceedings of the 9th International SPHERIC Workshop, Paris, 2-5 June 2014. Optimal Representation of Piecewise Hölder Smooth Bivariate Functions by the Easy Path Wavelet Transform. 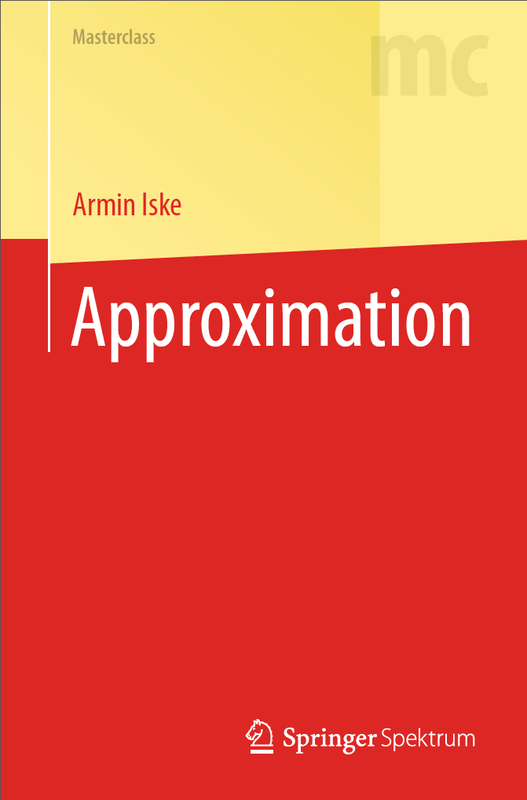 Journal of Approximation Theory 176, 2013, 42-67. On the Construction of Kernel-Based Adaptive Particle Methods in Numerical Flow Simulation. Notes on Numerical Fluid Mechanics and Multidisciplinary Design (NNFM), Springer-Verlag, Berlin, 2013, 197-221. Approximate Solutions of Generalized Riemann Problems: the Toro-Titarev Solver and the LeFloch-Raviart Expansion. In: Numerical Methods for Hyperbolic Equations, E. Vázquez-Cendón, A. Hidalgo, P. García-Navarro and L. Cea (eds. ), Taylor & Francis, 2013, 267-275. Filter Calculation for X-ray Tomosynthesis Reconstruction. Physics in Medicine and Biology 57, 2012, 3915-3930. Sparse Representation of Video Data by Adaptive Tetrahedralizations. Springer, Dordrecht, ISBN 978-1-4471-2352-1, 2012, 101-121. Optimally Sparse Image Representation by the Easy Path Wavelet Transform. International Journal of Wavelets, Multiresolution and Information Processing (IJWMIP) 10(1), 2012, 1250007 (20 pages). DOI: 10.1142/S0219691311004493. Generalized filtered back-projection for digital breast tomosynthesis reconstruction. Physics of Medical Imaging (SPIE 2012), vol. 8313, March 2012. DOI: 10.1117/12.911163. Scattered Data Approximation by Positive Definite Kernel Functions. Rendiconti del Seminario Matematico 69(3), 2011, 217-246. Dimensionality reduction methods in independent subspace analysis for signal detection. Conference Proceedings of Sampling Theory and Applications (SampTA2011). On the stability of polyharmonic spline reconstruction. Signal filtering and persistent homology: an illustrative example. Kernel-Based Vector Field Reconstruction in Computational Fluid Dynamic Models. International Journal for Numerical Methods in Fluids 66(6), 2011, 714-729. Curvature Analysis of Frequency Modulated Manifolds in Dimensionality Reduction. Anisotropic Triangulation Methods in Adaptive Image Approximation. E.H. Georgoulis, A. Iske, and J. Levesley (eds. ), Springer-Verlag, Berlin, 2011, 47-68. Adaptive ADER Methods Using Kernel-Based Polyharmonic Spline WENO Reconstruction. SIAM Journal on Scientific Computing 32(6), 2010, 3251-3277. Analysis of High-Dimensional Signal Data by Manifold Learning and Convolutions. Laurent Fesquet and Bruno Torrésani (eds. ), Marseille (France), May 2009, 287-290. Contextual Image Compression from Adaptive Sparse Data Representations. Foundations of Computational Mathematics 8, 2008, 409-425. Hierarchical Nonlinear Approximation for Experimental Design and Statistical Data Fitting. SIAM Journal on Scientific Computing 29(1), 2007, 49-69. High order WENO finite volume schemes using polyharmonic spline reconstruction. Cluj-Napoca, Romania, July 5-8, 2006, 113-126.
in Algorithms for Approximation, A. Iske and J. Levesley (eds. ), Springer-Verlag, Berlin, 2007, 187-196. On the Construction of Mass Conservative and Meshless Adaptive Particle Advection Methods. Polyharmonic Spline Reconstruction in Adaptive Particle Flow Simulation. Adaptive Image Approximation by Linear Splines over Locally Optimal Delaunay Triangulations. IEEE Signal Processing Letters 13(5), 2006, 281-284. Image Compression by Linear Splines over Adaptive Triangulations. Signal Processing 86(7), July 2006, 1604-1616. Multiscale Flow Simulation by Adaptive Finite Volume Particle Methods. Proc. Appl. Math. Mech. (PAMM) 5(1), 2005, 771-772. Multiscale Flow Simulation by Meshless Particle Methods. Meshless 2005, Proceedings of the ECCOMAS Thematic Conference on Meshless Methods. V.M.A. Leitao, C.J.S. Alves, and C.A. Duarte (eds. ), DM-IST, LNEC Lisbon, Portugal, July 2005, A22.1-A22.4. ADER Schemes on Adaptive Triangular Meshes for Scalar Conservation Laws. Journal of Computational Physics 205(2), 2005, 486-508. Multilevel Scattered Data Approximation by Adaptive Domain Decomposition. Numerical Algorithms 39(1-3), 2005, 187-198. Two-Phase Flow Simulation by AMMoC, an Adaptive Meshfree Method of Characteristics. Computer Modeling in Engineering & Sciences (CMES) 7(2), 2005, 133-148. Reservoir Flow Simulation by Adaptive ADER Schemes. A. Iske and T. Randen (eds. ), Springer-Verlag, Heidelberg, 2005, 339-388. A. Iske: Adaptive Irregular Sampling in Meshfree Flow Simulation. Applied and Numerical Harmonic Analysis, Birkhäuser, Boston, 2004, 289-309. Annals of the MCFA 3, 2004, 105-109. Radial Basis Functions: Basics, Advanced Topics, and Meshfree Methods for Transport Equations. Rendiconti del Seminario Matematico 61(3), 2003, 247-286.
International Series of Numerical Mathematics 145, 2003, Birkhäuser Verlag, Basel, 153-165. A. Cohen, J.-L. Merrien, and L. L. Schumaker (eds. ), Nashboro Press, Brentwood, 2003, 107-117. Conservative Semi-Lagrangian Advection on Adaptive Unstructured Meshes. Numerical Methods for Partial Differential Equations 20(3), 2004, 388-411. A. Iske: Progressive Scattered Data Filtering. Journal of Computational and Applied Mathematics 158(2), 2003, 297-316. M. Griebel and M. A. Schweitzer (eds. ), Springer-Verlag, Heidelberg, 2002, 21-36. N. Dyn, M.S. Floater, and A. Iske: Adaptive Thinning for Bivariate Scattered Data. Journal of Computational and Applied Mathematics 145(2), 2002, 505-517. Th. Sonar and I. Thomas (eds. ), Logos Verlag, Berlin, 2001, 110-119. T. Lyche and L. L. Schumaker (eds. ), Vanderbilt University Press, Nashville, 2001, 123-134.
in Computers and Mathematics with Applications 43(3-5), 2002, 319-327. A. Iske: Scattered Data Modelling using Radial Basis Functions. A. Iske, E. Quak, and M.S. Floater (eds. ), Springer-Verlag, Heidelberg, 2002, 205-242. T. Lyche and L. L. Schumaker (eds. ), Vanderbilt University Press, Nashville, 2001, 211-221. The Norwegian University of Science and Technology, Trondheim, 1999, 82-87. Numerical Algorithms 16(2), 1997, 155-170. Vanderbilt University Press, Nashville, 1996, 139-144. World Scientific, Singapore, 1996, 87-96. Journal of Computational and Applied Mathematics 73(5), 1996, 65-78. Numerische Mathematik 74(2), 1996, 177-202. C. K. Chui and L. L. Schumaker (eds. ), World Scientific, Singapore, 1995, 257-264. Vanderbilt University Press, Nashville, 1995, 265-270. 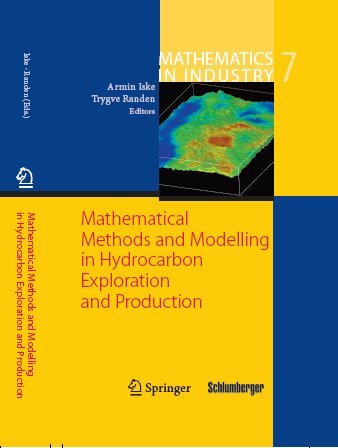 Industrial Hydrocarbon Exploration and Production Challenges Computational Mathematics in A Multidisciplinary European Network. Zürich Intelligencer (ICIAM 07 - International Congress on Industrial and Applied Mathematics), Springer, 2007, 32-34. Habilitationsschrift, Technische Universität München, April 2002. J. Behrens and A. Iske: MATLAB - Eine freundliche Einführung (in German), February 1999, 46 pages. Parameter Estimation for Exponential Sums from Sparse Frequency Projections. Hamburger Beiträge zur Angewandten Mathematik, Nr. 2016-05, March 2016. Analysis of the Inherent Reconstruction Error in Filtered Back Projection. Hamburger Beiträge zur Angewandten Mathematik, Nr. 2016-01, February 2016. On Groupoid C*-Algebras, Persistent Homology and Time-Frequency Analysis. Hamburger Beiträge zur Angewandten Mathematik, Nr. 2011-17, September 2011. Clifford Algebras and Dimensionality Reduction for Signal Separation and Classification. Hamburger Beiträge zur Angewandten Mathematik, Nr. 2010-04, April 2010. A. Iske (2000) Thinning algorithms in scattered data modelling. Technische Universität München, Report TUM-M0003, March 2000. A. Iske (2000) Optimal distribution of centers for radial basis function methods. Technische Universität München, Report TUM-M0004, June 2000. A. Iske (1994) Characterization of Conditionally Positive Definite Functions. Institut für Numerische und Angewandte Mathematik, Universität Göttingen, 1994. A. Iske (1993) Smooth Surface Interpolation with Rectangular Bézier Patches. Institut für Numerische und Angewandte Mathematik, Universität Göttingen, 1993. The files for appeared papers do not agree with the finally published versions. Copying these files will violate the copyrights held by publishers.